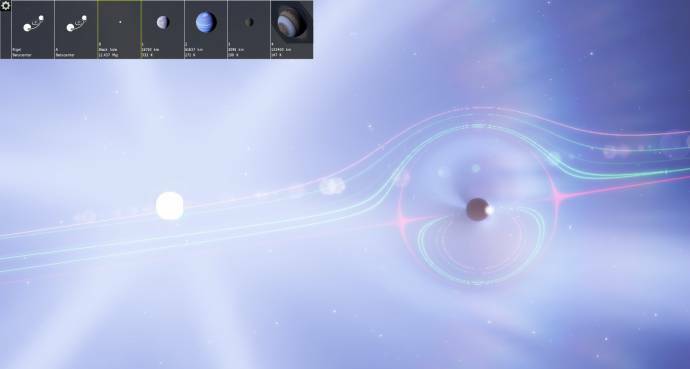 I was trying to see whether my old astrogation method through the galaxy still worked in the new version, and during this, came through the Rigel system. 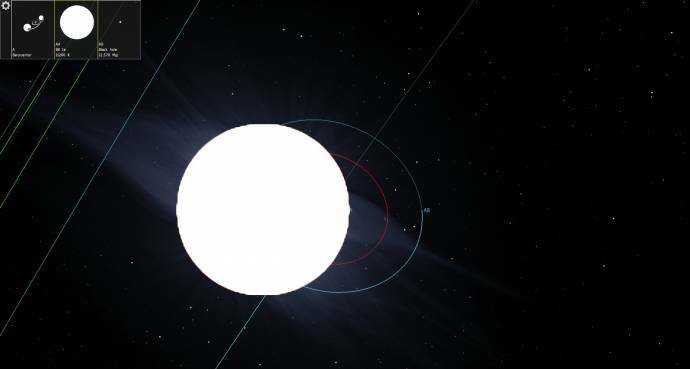 In reality, Rigel is a triple system, with Rigel A and B seperated by 2200 AU and Rigel B a spectroscopic binary itself. 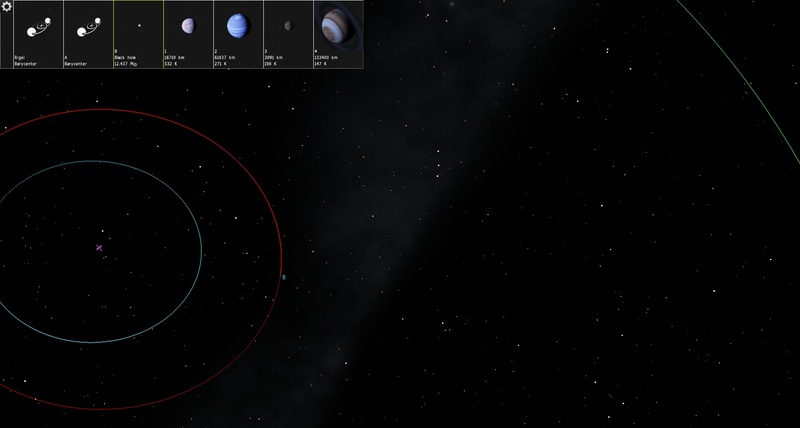 In version 0.96 of SE, however, something very odd happened at Rigel: it's still a triplet, and Rigel A is all good. Rigel B, however, has disappeared! But where, might you ask, are Rigel's to companions, then? This is not a bug, Rigel is still outside the Roche limit. 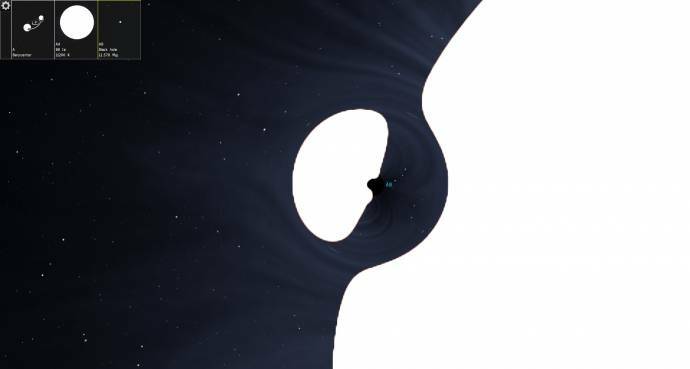 Its shape should be distorted by the black hole, but this is not supported by SE so far. I am joking of course! I love that SE can modify catalogs procedurally. It's just my personal preference to use the bare catalog.